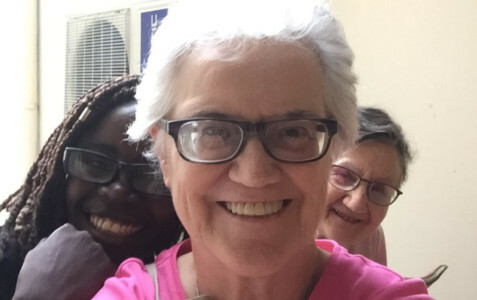 Check in each week to read interesting articles from Catholic writers, discover what Catholics are talking about in the wider world, find out what's happening in the lives of Catholic leaders, and keep up with the latest news from the Sisters of Bon Secours! Those are the first words of Pope Francis’ post-synodal Apostolic Exhortation released today. 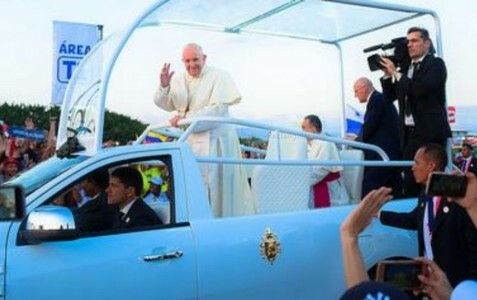 It’s essentially a letter from Pope Francis to the young people of the world and those who care about them. 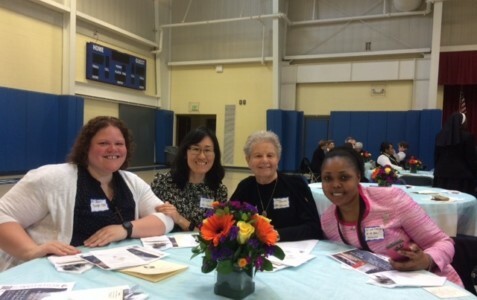 Some of our Sisters marked World Day for Consecrated Life by celebrating with the Baltimore diocese at a special mass and dinner. Here you see Sr. Jenn and Candidate Ji Choi, along with Srs. Mary and Nathalie at St. Agnes Church. They had a fun time hanging out together and seeing friends from other religious communities that they don’t get to see very often. 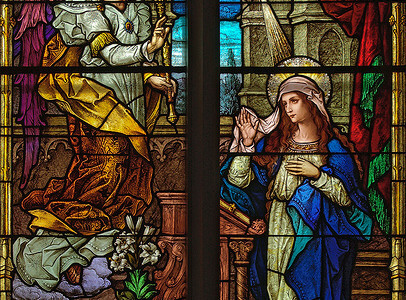 Today marks the Feast of the Annunciation, when the Angel Gabriel announced to Mary that she would be the Mother of Jesus. Mary said, “…May it be done to me according to your word.” She was able to clearly say yes to God’s request. We all know that doing God’s will is not always easy. We have our own plans, right? But like Mary, we must trust that God’s will is what’s best for us. Let us open our hearts and say “yes” to God. It has been a blessed week in Peru. Srs. 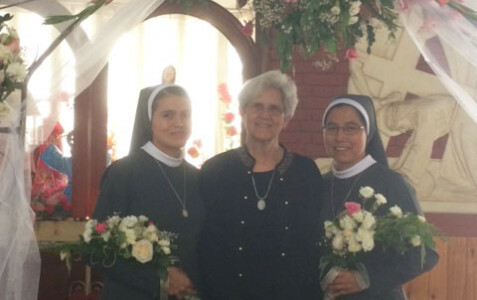 Amabilia and Yovana made their Perpetual Vows – vows for life on March 19. After the vow ceremony, they went over to the convent, which was beautifully decorated with flowers, silk drapery and cakes. You see them in the picture along with our Congregation Leader, Sr. Pat Eck. Nearly all the sisters in Peru, as well as Srs. Pat Eck and Elaine from the USA, were able to come to Trujillo for the celebration. I am accompanying Sr. Jacqueline Rebours, our French candidate director, who has been discerning with women here over the last several years. This is our third trip to Kinshasa. Various images may come to mind when you think of the Congo. Images of dense jungle, wild life, boats slowly making their way up rivers flowing past small villages, hot and humid (the heat index is 110 today). This is true. What I didn’t picture was Kinshasa, a huge city of 8 million people with housing compacted onto tracts of land, such as ‘Chinatown’ so named because everywhere you look there are people. We have met with four young women discerning a call to religious life and Bon Secours over the last two days, and have begun to meet their families as well. We will meet three or four others in the week to come. 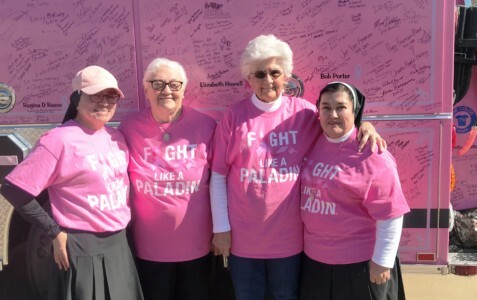 Like other young women discerning a call to religious life, Miriam, Elena, Elvie, and Mariel have a generous and compassionate heart for those who are poor, or are suffering, or in need someway. They dream of making a difference for people. They find a loving God who nourishes them and nudges them to follow him more closely and to be of service to their brothers and sisters. Here is a picture of Elvie with us. She is in a master’s philosophy program and dreams of improving the Congolese education system for young people. I’ll have more from Congo coming up, along with photos journaling our trip. It’s hard to believe, but Ash Wednesday is just five days away, when we begin the season of Lent – a time to take stock and refocus our hearts on our love for God and one another. 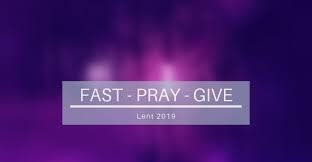 Lent is a time of fasting, almsgiving and prayer. There’s nothing tricky about prayer. It’s simply tuning in to God’s presence. And God is always present. Not only alongside us, but within the deepest part of who we are. We’re made in the image and likeness of God, and when we pray, we become closer to Him. We don’t have to figure out the right words to get started, because God is always speaking to us. Have you ever tried just sitting quietly with God? It’s a fine way to spend a few minutes. Her name is Gabriela Ruiz Espinoza, native of the north coast of Peru, where in her own words, is the place where beautiful ceramics are crafted and exported, delicious northern ceviche is prepared, the people are super celebrative, and there is a lot of human warmth. Sister Gaby, as people call her, or simply Gaby, doesn’t use titles, much less feel distanced from people. She feels like just another woman who shares her life and work in this multicultural context where people learn and marvel at the richness that each culture possesses and the people share in its essence and profundity. Gaby and Sister Rosa came together to the United States, invited by Bon Secours Health System, whose hospitals Saint Francis Downtown, Saint Francis Eastside, Cancer Center, and Millennium belong to the work of the congregation and were the agents to start a mission so that the sisters of Peru could come and share the charisma and spirituality of the congregation to the Hispanic community and interchange community experiences with the sisters who are natives of this beautiful country. The mission is for five years; Gaby has two more to complete. This woman of small stature, a luminous face, and a big smile, feels proud to be a part of her congregation and lovingly pours herself into serving the Latino community in Greenville through the Cancer Center, where she gives the best of herself. Her vocation of service, which aims toward helping others, has led her to volunteer her time in the Catholic churches San Sebastian and Saint Mary Magdalene. Gaby and her companion interchange experiences and share their own traditions in a world that feels close to home thanks to the love that they give and receive. Aside from dancing and playing volleyball, Gaby loves to read and is always looking up new information and at the same time enjoys gaining more knowledge of the new postulates that emerge in the world. She has a profound interest in the stimulation of a gland that we have in the center of the brain, which is in charge of generating the hormone of the eternal youth and regulating the cycles of sleep and wakefulness: the pineal gland. She comments excitedly that someday she will learn the technique and will apply it to her everyday life because she feels like it would be very useful for her. Su nombre es Gabriela Ruiz E s pinoza, natural de la costa del norte de Peru, donde segun sus propias palabras, del Iugar en donde se confecciona Ia hermosa ceramica de exportacion, se prepara el rico ceviche norteno, la gente es super celebratiua y de mucho calor humano. Gaby, junto con la Hna. Rosa, llegaron a los Estados Unidos invitadas por el Sistema de Salud “Bon Secours” cuyos hospitales San Francis Downtown , San Francis Eastside, Cancer Center,Millenium pertenecen a la obra de la Congregacion y fueron los gestores de abrir una mision para que las hermanas de Peru vengan a compartir el Carisma y Espiritualidad de la Congregacion a la Comunidad hispana y a intercambiar experiencias cornunitarias con las hermanas nativas de este hermoso pais. La mision es por cinco anos; a Gaby le quedan dos para cumplir . 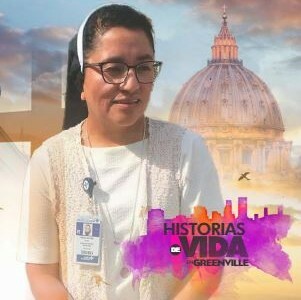 Esta mujer de estatura menuda, cara luminosa y amplia sonrisa , se siente orgullosa de formar parte de su Congregacion y amorosamente se vuelca al Servicio de la comunidad latina de Greenville, a traves del hospital Oncologico Cancer Center, de donde entrega lo mejor de se misma : su vocacion de servicio, que apunta hacia el apoyo de los demas la ha llevado a brindar su tiempo en la Iglesia Catolica San Sebastian y Santa Maria Magdalena; Gaby, junto a la otra compatriota intercambian experiencias y comparten sus propias tradiciones dentro de un mundo que sienten cercano gracias al amor que entregan y reciben. Gabriela es el seporte espiritual de los hispanos, tante en el hospital como en las oficinas del hospital San Francis que estan en la Iglesia de San Sebastian. Gaby es una persona que usa habito, la misma vestimenta que usan las Hermanas peruanas, pero segun lo que ella refiere, mi habito, me permite acercarme mas a las personas y para mi, es un simbolo que uso con alegria. A Gaby aparte de bailar y jugar Voleibol, le encanta leer y siempre esta buscando nueva informacion ya la vez que disfruta al acercarse al conocimiento de los postulados nuevos que emergen en el mundo, siente un profundo interes por la activacion de una glandula que tenemos al centro del cerebro y que esta encargada de generar la hormona de la eterna juventud y que regula los ciclos de suefio y vigilia: la glandula pineal. Comenta entusiasmada que algun dia aprendera la tecnica y la aplicara en su cotidianidad porque siente que sera de gran aporte para ella. Yo, les diria a todos los jovenes hombres y mujeres: No tengan miedo de responder al llamado que Dios, les esta haciendo alla en lo profundo de su Corazon , que tengan la audacia de buscar que es eso, a lo cual se sienten llamados y que muchas veces se quedan en silenclo, avergonzados, sienten que se les paso la edad y no se atreven a hablarlo; les invito a ir mas alla, les invito a descubrir cual es mi vocacion a la que he sido llamado? Porque les aseguro que cuando alguien se enamora de Cristo, no van a dejarlo nunca y van a querer swguirlo sea en la vocatioon que han descubierto porque Cristo, Cristo les llenara siempre el Corazon.